Meet Wilbur, the compact combo that doesn't compromise on quality. 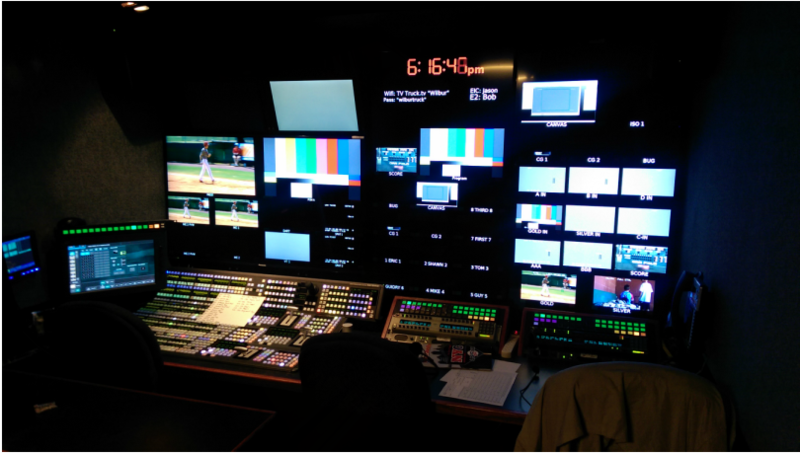 This multi-purpose HD mobile carries 8 Grass Valley LDX cameras, 2 EVS LSM replay servers, the latest Grass Valley K-Frame Kayenne Switcher, as well as full Telex Digital matrix communications, giving it the high level of quality and usability that comes with all our trucks. Additionally, Wilbur has a fully redundant 2.4M KU uplink, eliminating the need for an additional truck to reliably get your show to air.